Leftarts say Trump is alienating our Moslem allies in the war on terror that they say is not Islamic. NEWSFLASH! America has no allies in the War on Islamic Terror from Islamic countries. Islamic nations are not helping the West fight the Jihad. The Jihad is being produced by Islamists that control every Moslem country in the world. 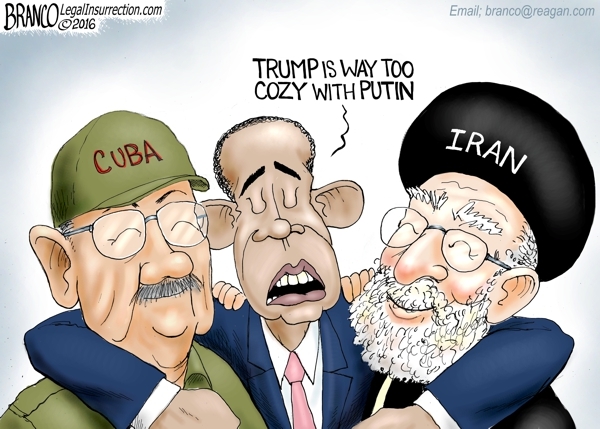 Those countries are not fighting ISIS, Al-Qaeda, and Islamic terrorists, they are funding them! They train them in their mosques to hate the West and they are setting them upon us! The only reason they ever work with us is when these rabid animals they unleash on us turn and threaten their masters. The West is committing suicide in following the policies of the Moslem president Americans stupidly elected to be leader of the free world. Islam is a death cult of intolerance of all who do not submit to their theocracy. Tolerance of their intolerance, allowing Islamists to infiltrate, invade, and indoctrinate the West into the cult is not righteousness, but suicidal social stupidity. Jesus said to love sinners and hate the sin. He never said to love Satan! Political Correctness is liberal censorship of good sense and righteous morals and must be crushed. People who advocate for tolerance of their hate and bigotry by saying intolerance of their hate and bigotry is hate and bigotry are psychotic, stupid, and evil. God has never said that good should tolerate evil. To these people that makes God the oppressor and Satan the liberator. Islam has no place in Europe, in America, in the West, in the free nations, of in the civilized world. Islam has fourteen centuries of hate, death, oppression, and slavery brainwashing in accordance with the teachings of Muhammad. The twisted Arab created the world’s most insidious cult that has spread death and destruction throughout its history and is today’s most direct threat to humanity. The Left believes Bush lied about Iraq’s WMDs, but not Obama’s lies that he stopped Iran from nuking up. Stopping fanatics who want to bring about the destruction of the world to usher in the 2nd Coming of their Satanic 12th Imam is of the utmost importance to saving civilization from this Dark Age death cult that was the terror of the Medieval Era that has become the terror of the modern world. 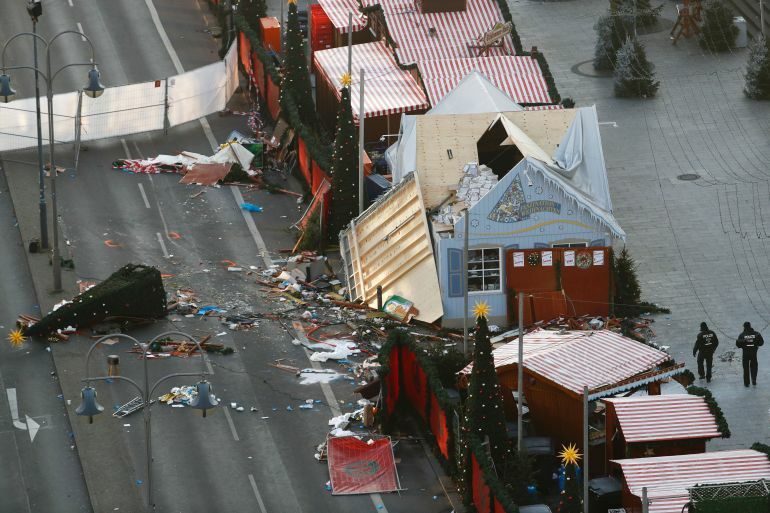 Islamists are using the complacency of the West and its reliance of legal roadblocks to inflict terror without restriction as demonstrated by the jihadi that killed and maimed dozens at Germany’s Christmas market. The multitude of Islamic jihadi attacks in the world over the past decades has cost tens of thousands of lives. It is time the world took a stand and relegated Islam to the dustbin of history where it belongs before the world becomes slaves of Allah. Here’s a hint: When America went to war with Nazis in WWII and Communists in the Cold War our leaders did not invite our enemies to come live among us and convert our children to their ways. While U.S. forces were in Iraq they drew jihadis there where they could be rounded up a killed. Now they are spreading out all over the world. Obama’s Trojan Horse globalism is killing civilization. It is not up to the lawyers to fight the war on terror, but they are taking the side of Islamists in bringing war to the world. Islamic jihadis should not be admitted and observed until they successfully slaughter the innocent. There is no reason any Moslem who advocates for Sharia and Jihad should be allowed into the West. Moslems like this jihadist should have been deported forcefully – even if they have to be dropped from a plane while flying over the capitol of the Moslem country that exported them. This entry was posted in Islamism, Politics and tagged Allies in war on terror, Barack Obama, Crusades, Donald Trump, ISIS, Islam, Islamization of the West, Jihad, Terror attacks, War on Terror. Bookmark the permalink.